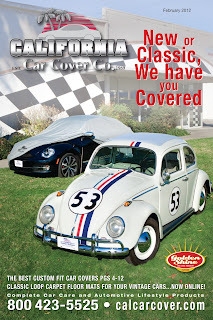 We featured a couple of nice Volkswagen Beetles on the cover of our February 2012 California Car Cover catalog. The February edition of our catalog was sent out to local customers and anyone who placed an order in January. 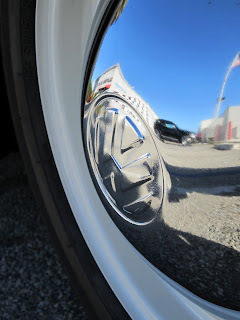 In case you did not receive one in the mail, here are some extra pics of the VWs from the cover shoot. Special thanks to John Schiess for bringing over his restored 1962 Volkswagen Beetle by our store. 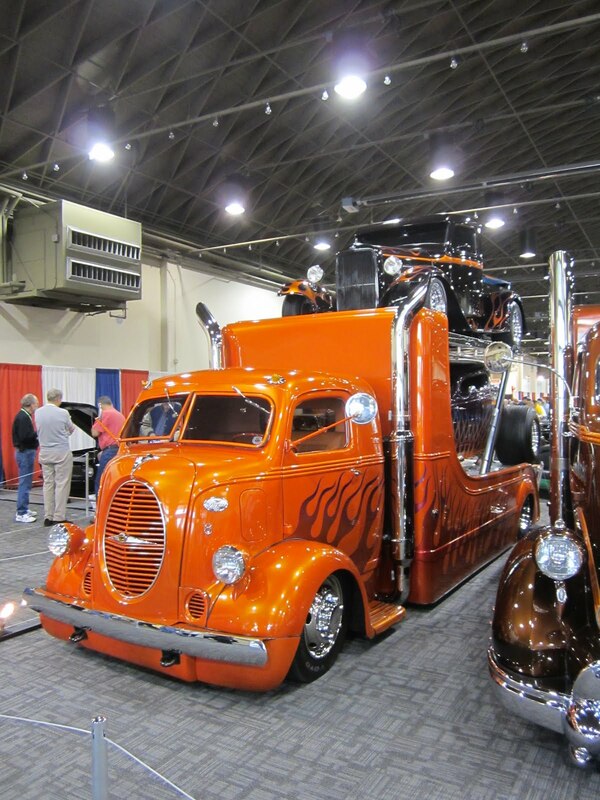 John is the owner of Custom Built Machines around the corner from us in Chatsworth, Ca. His shop has built a few vehicles featured on our catalog cover. 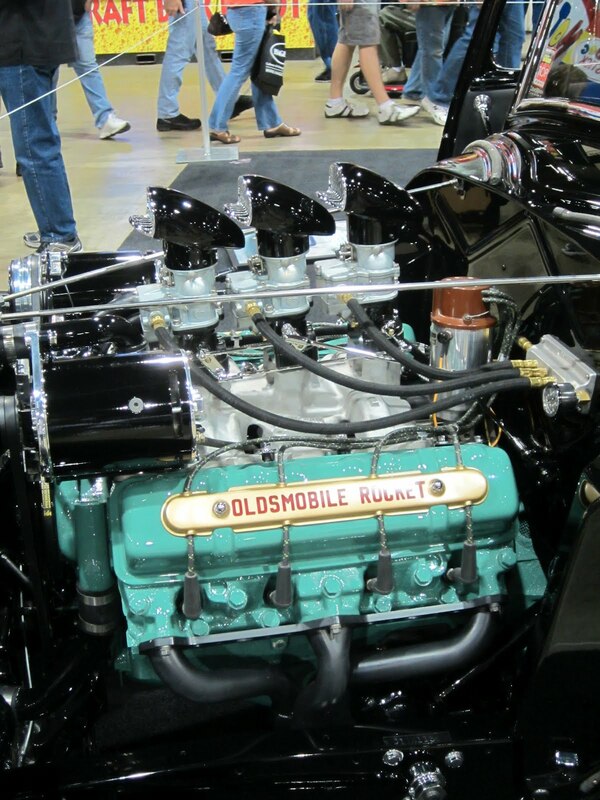 Need some floor mats for your classic car? Lloyd Mats new Classic Loop floor mat is designed with a nostalgic look of 60's automobiles. The mats are custom fit and look great inside the VW. You can get more details on these mats on our website. The 2012 Beetle Turbo belongs to local customer Bonnie Lewis. We were happy that she would let her baby out of her sight for a short period of time and let us photograph it. 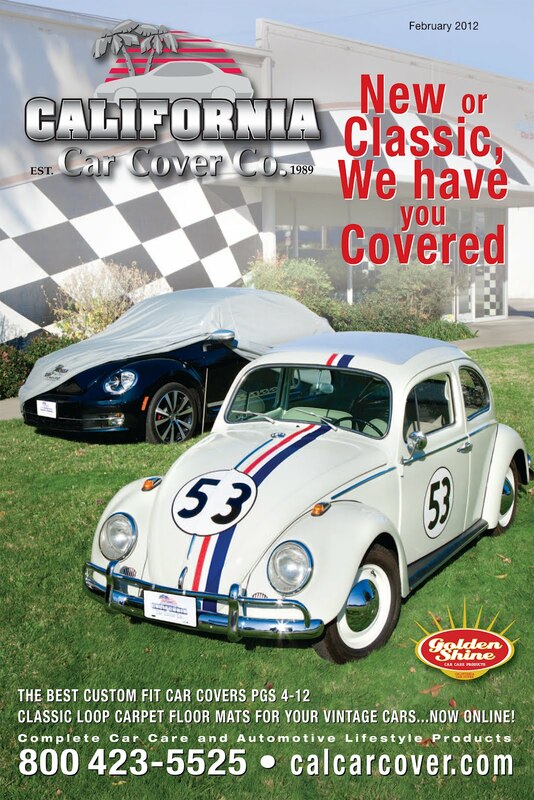 The "Herbie" edition Beetle was built by John and the crew at Custom Built Machines. Special thanks goes out to the staff at B&E Customs for applying the paint. People do not necessarily think of California Car Cover first when it comes to car covers or floor mats for their European car. 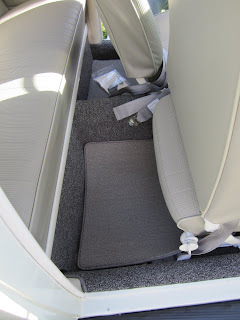 But our shop can make car covers, seat covers, and floor mats for just about any European car on the road. 1962 and 2012 Volkswagen Beetles. Need a cover? 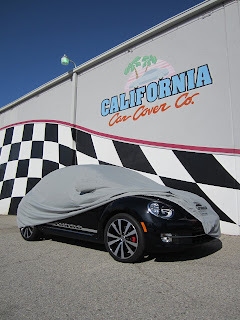 Custom fit car cover for the 2012 Volkswagen Beetle. This is also a great time to mention that we just scheduled our first European Car Show at California Car Cover on Saturday, May 5th 2012. We had a lot of fun hosting Golden Shine detail days with local Audi, VW and Mini Cooper clubs last year. Now we will be hosting a car show open to all brands of European cars. See our website or Facebook for the latest news and updates. We will post the details online as soon as we have them. 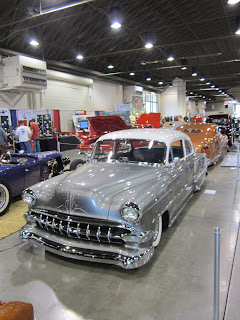 This past weekend was the 2012 Grand National Roadster Show held in Pomona, Ca. It was a beautiful weekend in Southern California and the warm weather brought out tons of people to this historic event. A very nice 1957 Chevy built by our friends at D&P Chevy in Orange County. Plenty of classic cars, lowriders, hot rods and of course, roadsters, filled the halls at the Pomona Fairplex. California Car Cover was an on site as an exhibitor at the event. I spent most of the day Saturday enjoying the show and talking to many of our customers and vendors that were in attendance. Here are some photo highlights. 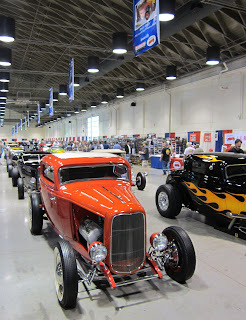 There was an entire hall celebrating the '32 Ford. Above is a group of custom pedal cars on display and bottom is a photo of the full size models there. The fairplex has plenty of space to park classic cars and just above everywhere you looked there was another car. From street rods and customs to traditional rods and muscle cars, it was there. 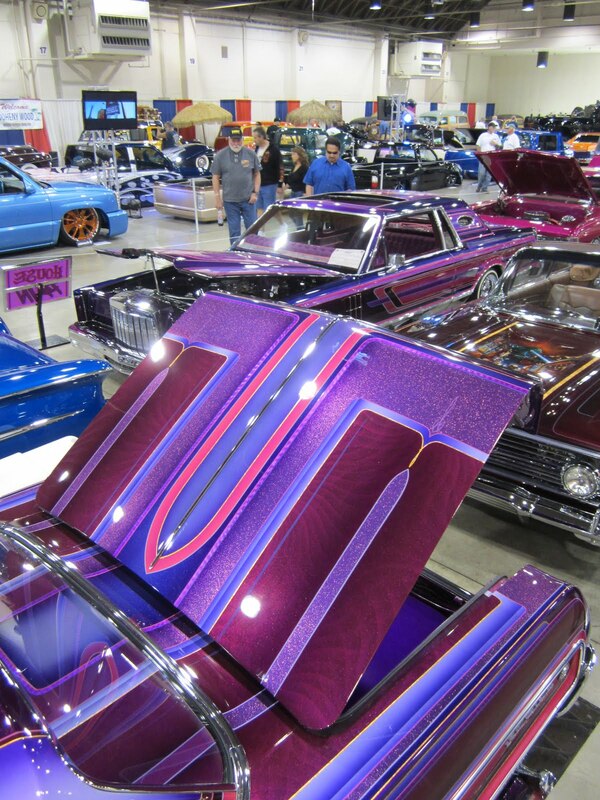 The Suede Palace is home to traditional hot rods and customs. 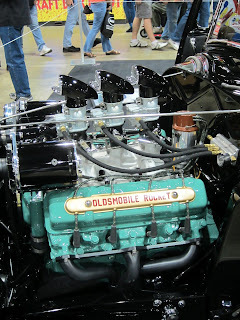 Looking to start your roadster project? 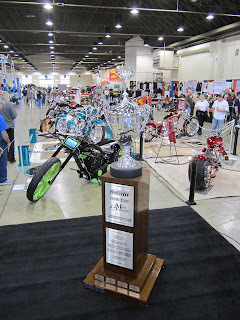 In addition to all the custom cars on display, there were plenty of the two-wheeled variety on display all competing for the big trophy. 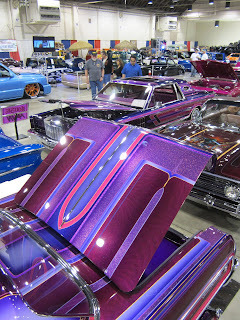 Beautiful paint and detail work was on display in the lowrider section of the show. These cars sure do look good under the lights. 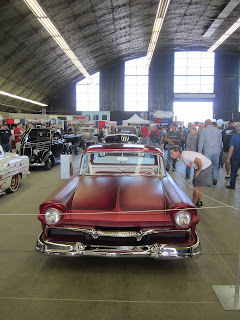 Candy paint and wide white wall tires were popular at the show. The roadsters in competition for the award of America's Most Beautiful Roadster were all on display in the main hall. 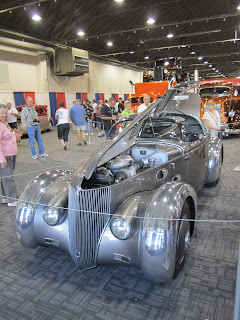 This hall featured large displays with eye catching automobiles. 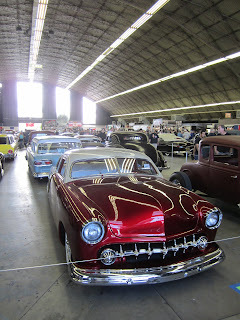 The main hall also featured the booths of plenty of the premiere classic car builders. 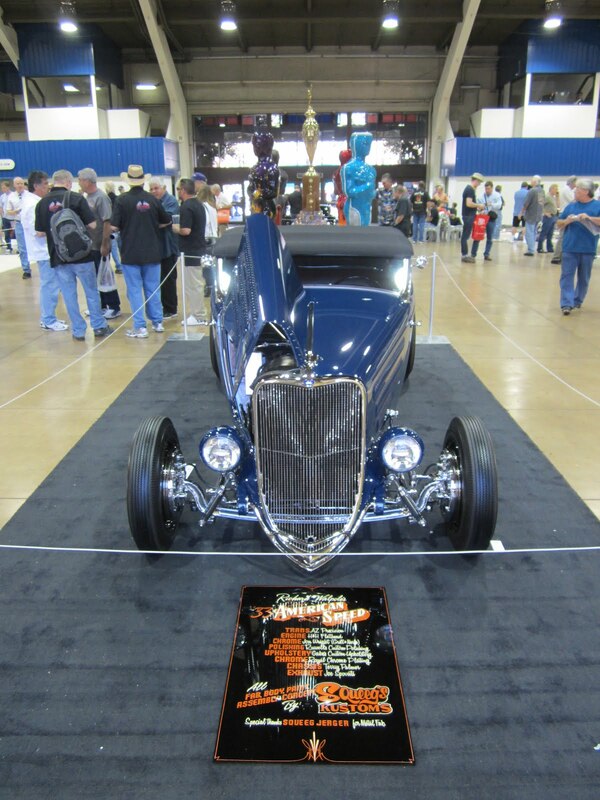 Here is the booth of our friend and catalog cover car builder Troy Ladd and Hollywood Hot Rods. Another past catalog cover car builder, Brizio Street Rods. 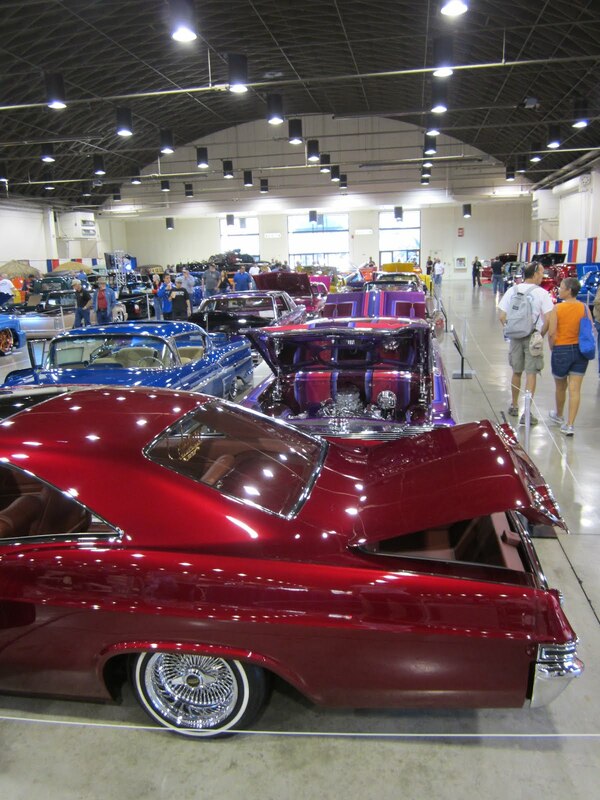 Pure Vision from Simi Valley, Ca was displaying a few cars in the works. This gold pickup has been seen at a few shows this year. 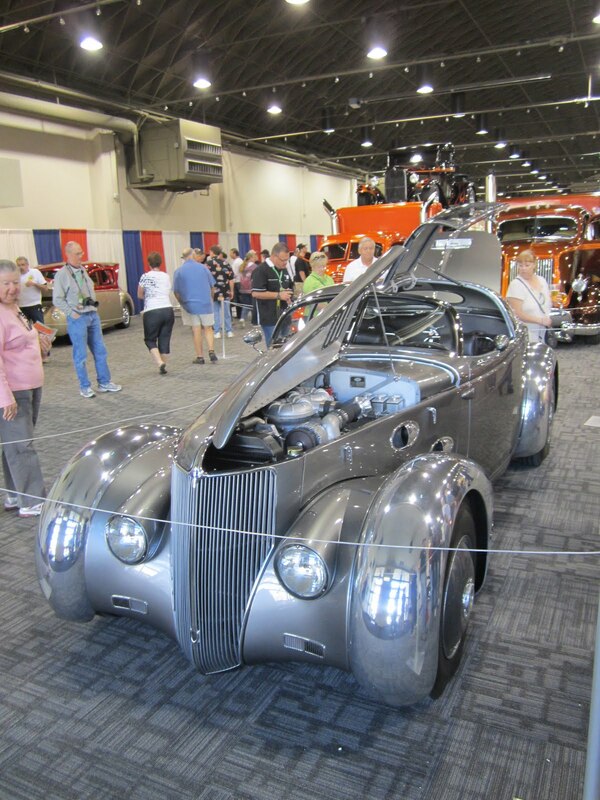 It was built by our friends down at Hot Rods and Custom Stuff in Escondido, Ca. Ford Thunderbird. This T-Bird was built by Rick Tucker and the crew at Tucker's Performance in Las Vegas, NV. You might recognize that name from a shop tour we did of his facility a few weeks ago. Want to see more? Visit our Flickr page to see all the photo highlights from the 2012 show. 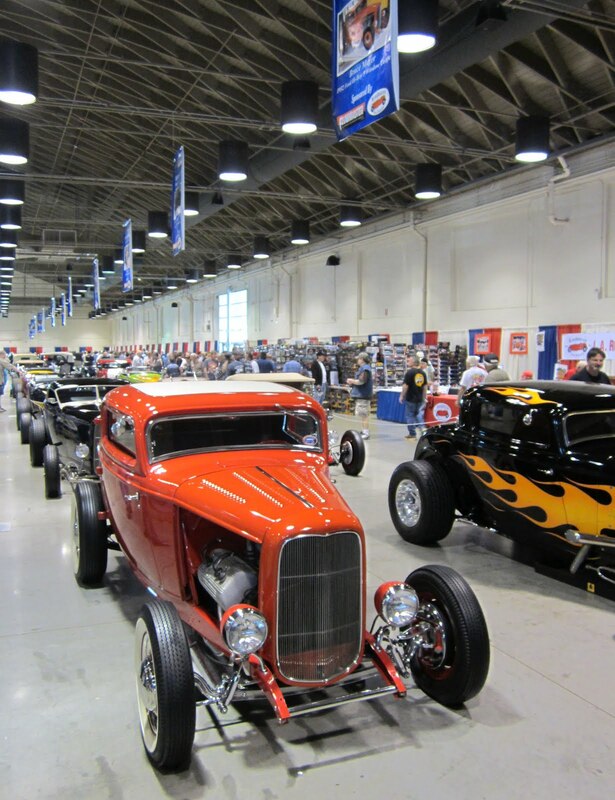 Visit the California Car Cover Events page to see where we will be exhibiting next. Check back with our blog often this month. There will be plenty of cool event coverage here all February.